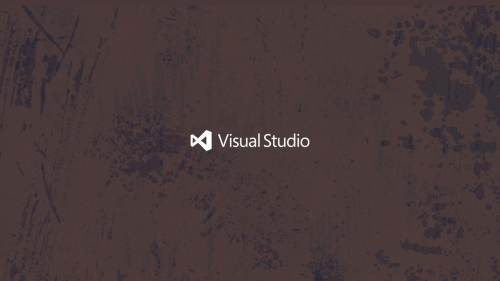 Can Changing Your Visual Studio Wallpaper Help Keep You Sharp and Focused? Howdy readers, Lafe here. About once a month, my partner in crime, Rich Seeley, has been doing technical takeovers of this blog. Here's his latest post, which looks at how your Visual Studio wallpaper can help your productivity. To some developers this may seem like a silly question. Who cares about the wallpaper of all things when you're on a deadline project that is not exactly going swimmingly and it seems like everybody in the world is breathing down your neck? In that state of mind, you may not even have noticed the drab, dare we say uninspiring, wallpaper like this. It's okay. But you might be forgiven if it reminds you of the tile on your dorm room floor or that cheap hotel room where you stayed when … well, let’s not get into that. Anyway, it doesn't seem to say: "Let's write some beautiful code today." Or if you aren't visually oriented, you might be just as happy if the wallpaper looks like nothing special. This wallpaper seems to say: "Don’t distract me. I'm coding." However, if you are working in a windowless cube or inhabit a home office set up in the 1960's era fallout shelter under your grandfather's house, you might enjoy a peek at the outside world. 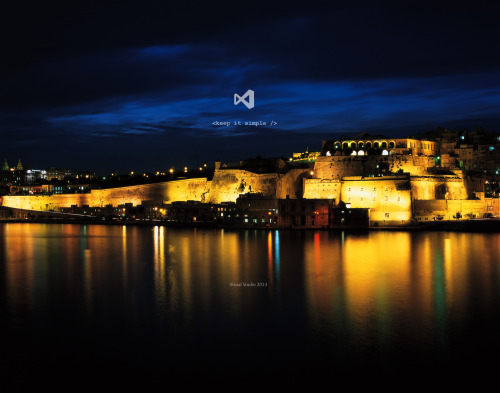 This Visual Studio Community Wallpapers site does offer some eye candy. Now you could glance at this and maybe think: "If I ever get this [expletive deleted] project done, maybe I can take a vacation to a place where there are calm waters and beautiful architecture." So maybe the wallpaper helps you set a goal for better work-life balance. This brings us to the question of motivation. There are authors who believe your work environment, which broadly speaking could include the look and feel of Visual Studio, may influence your productivity. Jacob Morgan, author of The Future of Work, says corporations are beginning to realize that the employee experience is just as important to business success as the much touted customer experience. This includes how the employee interacts with the work environment with a new emphasis on "designing beautiful workplaces," Morgan notes in one of a series of articles he has written for Forbes. So if you spend your days inside the Visual Studio environment maybe wallpaper could help make it a beautiful workspace. Could it make you more productive? Kayla Matthews has given that some thought in her blog. "Countless apps and software suites can help you maximize your productivity," she writes. "But have you thought about switching your desktop background to a wallpaper that boosts productivity?" Matthews doesn't say wallpaper can work wonders. She's from the "every little bit helps" school of motivation. There's more where these came from at https://www.brainyquote.com. Another option is the aforementioned travel poster wallpaper. "Although you may associate long-awaited beach vacations and global getaways with a lack of productivity," Mathews writes, "researchers have found taking trips makes people more productive." If you have your doubts, read 4 Ways Going on Vacation Increases Your Productivity by Jon Levy, behavior scientist, on Inc. magazine's website. So maybe wallpaper postcards of Maui or Miami or Montana would help you boost your productivity. Mathews also previews wallpapers that help set down-to-earth goals including enhanced fitness, saving money, eating better, and breaking unhealthy habits. If you feel creative and can't find a wallpaper to download that fits your mood or the mood you’d like to be in while coding, Adobe offers a site for you: Make custom wallpapers easily with Adobe Spark. No design skills needed. The main thing is to find or create wallpaper that works for you and hopefully makes you more productive in your work or makes it a little more fun. Fun in your work environment: What a concept. Howdy readers, Lafe here. About once a month, my partner in crime, Rich Seeley, has been doing technical takeovers of this blog. 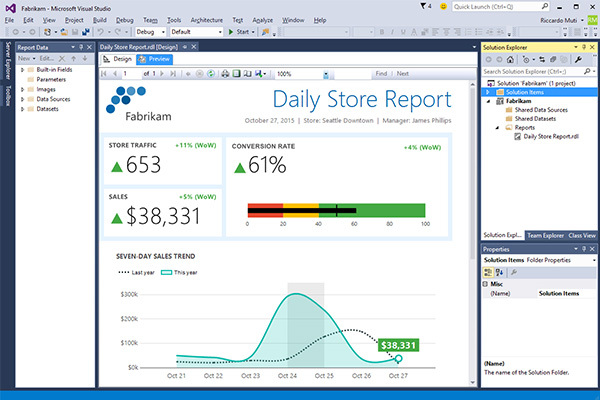 Here's his latest post, which looks at some resources for Visual Studio Reporting Services. If you're beginning your Visual Studio career or perhaps even if you are a veteran user, generating sales and other business reports may seem like a challenge. Reporting is important as most business apps are going to need to get data into a traditional Excel spreadsheet or some other format for business users, managers and executives. It has not been easy to find information by Googling for help with Visual Studio 2017 basic reporting. Fortunately, this month Microsoft has offered new guidance in two blogs that will help you with reporting. A Sept. 25 blog written by Brad Syputa, a software engineer on Microsoft's SQL Server BI team, announced availability of "Microsoft Build Engine (MSBuild) support for building and deploying Reporting Services projects with SQL Server Data Tools for Visual Studio 2015 or Reporting Services Projects for Visual Studio 2017." "By invoking msbuild.exe on your project or solution file, you can orchestrate and build products in environments where Visual Studio isn’t installed," Syputa writes. "This is key for developers looking to automate deployment of Reporting Services projects outside of Visual Studio, which can streamline the process of moving between development and production environments. Visual Studio 2015 users can download SQL Server Data Tools here. Visual Studio 2017 users can find out about Reporting Services Projects here. "Once you install the latest update, depending on which version of Visual Studio you're using, the new files enabling MSBuild for your projects will be installed in different folder paths," Syputa writes. For Visual Studio 2017, there is a "nested folder in your Visual Studio folder hierarchy." Syputa has provided screenshots in the blog to help you visualize where to find the tool in your environment. "If you see these new folders, this means you'll now see MSBuild support as an option for Build, Clean, Compile and Deploy actions in any new report project you create," Syputa writes. "For existing projects, you will be prompted to do a one-time upgrade the first time you open it after installing the latest updates. The upgrade will automatically backup your project first, then proceed. Once it's completed, you’ll have the new MSBuild functionality available to you." Once you have that sorted out, there are walkthroughs for using MSBuild for Visual Studio 2015 here and Visual Studio 2017 here. Keep an eye on those sites as more walkthroughs are promised in the coming weeks. For everyone working with SQL, Create and manage Reporting Services, a Microsoft blog published Sept. 5, 2017, explains how to use SQL Reporting Services, Visual Studio Team Services (VSTS) and Team Foundation Services (TFS) for creating reports. It takes just four minutes to read the whole blog post according to the authors. There are several reporting tools covered in the Microsoft blog starting with Report Builder 2.0, which can be downloaded here. This is an "intuitive environment for authoring reports." Intuitive apparently means you shouldn't have to read a blog or any other documentation to figure out how to use it. Report Builder is designed with Microsoft Office apps, such as Excel in mind, so business users can work with the tools they already know. For the Visual Studio developer, Report Builder 2.0, you can "work with data, define a layout, preview a report, and publish a report to a report server or a SharePoint site." There is also a wizard for creating tables or charts, in addition to query builders, and an expression editor, which provides capabilities for HTML editing and web design. That should come in handy when organizations want reports online. If in addition to Visual Studio you have SQL Server Business Intelligence Development Studio, you can use Microsoft Report Designer GUI tool to create "full-featured Reporting Services reports" without knowing Report Definition Language (RDL). Microsoft also offers a series of step-by-step tutorials showing you how to create Visual Studio reports with SQL that would be helpful for beginners, starting with Lesson 1: Creating a Report Server Project (Reporting Services). Beyond what Microsoft offers, there are also third-party tools to help with Visual Studio reporting. This month GrapeCity Developer Solutions began providing .NET developers with a new spreadsheet server API for creating and working with Microsoft Excel-compatible spreadsheets, reports David Ramel, editor in chief of Visual Studio Magazine. "Called Spread.Services, the new offering simplifies the creation, conversion and sharing of spreadsheets across Windows, Android and Mono platforms, while supporting .NET Core 2.0 and targeting .NET Standard 1.4 for multi-platform support," Ramel writes in a recent Visual Studio Magazine article, GrapeCity Offers Spreadsheet Server API Across .NET Platforms. GrapeCity, a Microsoft Visual Studio Partner, says developers can "easily implement code to process, collate, and consolidate data from large sets of spreadsheet documents, including reports, itineraries, and financial analyses." The Spread.Services interface-based API uses Excel's document object model and with it GrapeCity says the tools can do some pretty nifty things: “Advanced calculations become lightning-fast with more than 450 built-in Excel-compatible formula functions. Rich data entry forms are easily created using data validation rules and formulas. Spread.Services also enhances security -- users can hide formulas, sheets, and other objects from the end user and set locked and protected ranges and sheets with password protection." Old reliable Crystal Reports has also been available with Visual Studio for a long time. The latest information on downloads for Visual Studio 2010 through 2017 is available on this SAP Community wiki. Brian Noyes, CTO and Co-founder, Solliance, and veteran Visual Studio Live! presenter, led a rich and informative session on starting to work with Aurelia. Aurelia is a relatively new Single Page Application framework. Its primary benefits include a rich data binding system, dependency injection and modules, and a powerful routing and navigation system. Microsoft's own Senior Technical Evangelist Nick Landry's session covered the use of bots. These are rapidly becoming a more common tool to interact with a service or application as a web site or mobile experience. Nick's session showed how to build and connect intelligent bots to interact via text/sms, Skype, Slack, Facebook, e-mail and other popular services. Another Microsoft presenter Chris Klug, Senior Software Developer, led a session that focused on the SOLID principles. These are essentially the five commandments of the software world. They are the foundation of building good software. He worked through each of the principles, explained what they mean and how to put them into practice. 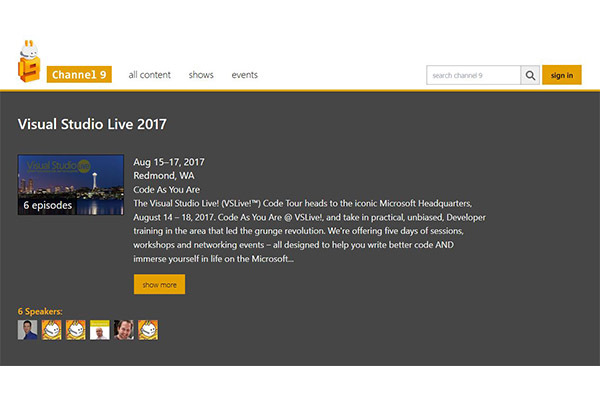 Visual Studio Live! co-chair CTO, Magenic, Rockford Lhotka, presented a session on using distributed architecture. He explained how building distributed systems promotes reliability, scalability, deployment flexibility, and decoupling disparate services and apps. He also covered creating microservices, apps, and the messaging patterns. This keynote session, presented by Microsoft's Scott Hanselman, Principal Community Architect for Web Platform and Tools, took attendees through the process of Microsoft's evolution into an open source organization. He covered how open source .NET fits into the larger open source world, providing listeners with historical context and several lots of technical demos of .NET Core and ASP.NET Core. Adam Tuliper, Principal Software Engineer, DX for Microsoft, led a session that dove deep into .NET Core. He explained exactly what .NET Core is and what it can do. He also explained a lot about the architecture and runtime, including how it works across different platforms like Windows, OSX, and Linux. Howdy readers, Lafe here. About once a month, my partner in crime, Rich Seeley, has been doing technical takeovers of this blog. Here's his latest post, which looks at the Live Unit Testing feature introduced in Visual Studio 2017. Write the code. Stop. Test the code. Try to figure out where the bug is. Try out a fix. Test again. Maybe it works and maybe it doesn't. Maybe it will get through QA or maybe it won't. This is what Joe Morris, senior program manager, Visual Studio and .NET Team, calls old school testing. None dare call it drudgery. But for developers working with Visual Studio 2017 Enterprise Edition old school testing methods have been replaced with a cool new feature called Live Unit Testing. It allows you to run testing as you code, so you can immediately see lines of code that aren’t passing as well as lines that aren't being covered by any test. You can fix the failing code on the fly and know immediately if it passes. You can also quickly apply as test to uncovered code and see if it passes. "It will tremendously improve your coding productivity and quality of code by showing the unit test and code coverage live in the editor while you're coding," Morris explains in a short video demoing Live Unit Testing. Usually words like "tremendously improve" are marketing hype but looking at Live Unit Testing in action it appears to be the real deal. To contrast Live Unit Testing with old school testing, Morris shows us what he used go through to run tests in the pre-Visual Studio 2017 world. The test had to be run "manually" and they could then be viewed in the Test Explorer window. The trouble was Test Explorer didn't tell you very much. It was the equivalent of a GPS system that would leave you on the edge of a forty-square mile area wherein the restaurant you were looking for might be located. "I would look at the failed test," Morris said. "It tells me that the test failed in line 43. But that is not much useful info. To see more data on the failed test I would typically run Code Coverage Results for failed test. It tells me what blocks are covered and not covered. It still doesn't show any visualization in the code editor. I can click on show code coverage in the blocks in the editor. Even then it is not easy to figure out which one is covered and not covered or failing." By contrast, Live Unit Testing is...well...live and quick and rather than looking for a needle in a haystack it pinpoints where the problems are. So forget Test Explorer. To enable Live Unit Test you go to the Test menu where you select Live Unit Testing from a drop down menu and click on Start. Within a few seconds you will see glyphs showing up in the left hand column of your code editor. Green checks on a line indicate tests covered by Unit Testing are passing. Red Xs indicate a line is failing the covered unit test. Blue dashes indicate no Unit Test coverage. So it’s a matter of stopping and making fixes on the red and being good to go on the green. Meanwhile blue dashes remind you to find a test to make sure the blue line is okay. Or as Microsoft describes it: "This will gently remind you to write unit tests as you are making bug fixes or adding features." With the lines marked with red glyphs, you are able to zero in using a popup that shows specifically which test it is passing or failing. Once you know what test is failing, you are pretty close to understanding what needs to be fixed. And when you make the fix to the line the test results show up almost instantaneously. "I identify the bug in my code," Morris explains. "I need to add another line of code to fix the code. As soon as I make that change the state of the code changes from red crosses to green checks indicating my code is passing the unit test now." Where there is a blue dash showing that line of code is covered by zero tests, the fix is also swift. By going to the Unit Test window, you can add a test. The test runs and a green check indicates it passed. Very quickly everything goes to green. By keeping Live Unit Test running as you code, you can make sure your code passed and Unit Test coverage is 100 percent. "That's very cool," Morris says. "I can see that all my lines of code are covered by a test and they all have a green check." The feature works with C# and VB projects for .NET and supports the MSTest, xUnit and NUnit test frameworks. "It uses VB and C# compilers to instrument the code at compile time," Microsoft explains in a Visual Studio blog covering the new feature. "Next, it runs unit tests on the instrumented code to generate data which it analyzes to understand which tests are covering which lines of code. It then uses this data to run just those tests that were impacted by the given edit providing immediate feedback on the results in the editor itself. As more edits are made or more tests are added or removed, it continuously updates the data which is used to identify the impacted tests." Howdy readers, Lafe here. About once a month, my partner in crime, Rich Seeley, has been doing technical takeovers of this blog. Here's his latest post offering some resources for Visual Studio crashes. Since the release of Visual Studio 2017, some users have been reporting crashes. In most cases, Microsoft folks offer workarounds and promises of fixes to come in the next patch or the next release. But while you may expect a fix, it may not be a quick fix. "I can see no apparent reason, but VS keeps crashing very often," one user reported on March 17, 2017 on the Visual Studio Developer Community help page. "It's practically unusable. I can see no pattern either. The window freezes and after a while Windows says it is not responding and restarts VS."
It took until April 20 for a workaround to be posted. "We were able to isolate this to the pen/touch driver for dotnet crashing. (penimc.dll)," a Microsoft support person wrote. "We're working on this issue. You can try reinstalling .NET support in VS using the installer, or try disabling pen/touch support. I know these are not great workarounds and I'm not sure they'll actually avoid the issue for you - but we're looking into the underlying problem." By May 11, there was an official Microsoft report on the issue. Visual Studio may freeze or crash when running on a pen-enabled machine told developers: "Under certain conditions, Visual Studio may terminate unexpectedly (a freeze / hang followed by a crash) when running on a pen-enabled machine with Windows 10 Creators Update, or other Windows versions when Microsoft .NET Framework 4.7 is installed. This issue affects all versions of Visual Studio." On June 6, in the comments section under that article, a Microsofter reported: "Thank you for your feedback! We have fixed the problem in an upcoming release. 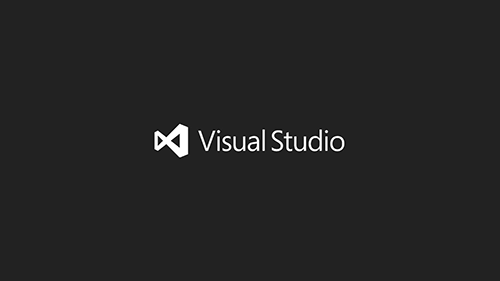 Thank you for helping us build a better Visual Studio!" So if you have a major problem with crashes there will eventually be a solution but it is unrealistic to expect a quick solution. It is probably not fair to make it sound like crashes are a common or frequent problem with Visual Studio. "I am pretty sure that I have never seen Visual Studio crash,” says one longtime Visual Studio user. He did recall that several years ago he heard about stability problems causing crashes with a specific release of Visual Studio and that it was fixed with a Microsoft patch. Of course, if you’re experiencing crashes, it will not do much to relieve your frustration to know that lots of other developers are coding away without a care in the world while your project falls farther and farther behind. The best thing to do if your Visual Studio is misbehaving is to ask for help. "Get help from our community supported forum,” reads the tag line on the Microsoft Developer Community page, where the crash reports above were hashed out between users and Microsoft support people. Another place to go is GitHub where you can follow the instructions explained in How to Report a Problem with Visual Studio 2017, which is encouraging: "If you encounter a problem with Visual Studio, we want to know about it so that we can diagnose and fix it. By using the Report a Problem tool, you can collect detailed information about the problem and then send it to Microsoft with just a few button clicks." When you use the Report a Problem tool, you may discover that you are not alone in having this trouble. In that case, the tool allows you to "up vote." Presumably the more votes a specific problem gets the more likely it will come to the attention of someone at Microsoft who might have a fix or at least a workaround. And some problems actually do have a quick fix if you report it. For example, one user downloaded Visual Studio 2017 but found that the Help Viewer, of all ironic things, was missing. After updating versions, this user wrote on a Visual Studio General Questions page: "Could you please let me know whether help viewer is available for Visual Studio 2017." The fix turned out to be as simple as going to Individual Components on the Visual Studio Enterprise 2017 installation section and checking the box for Help Viewer. So the good news is there is help even when you can’t find the Help Viewer. Application Lifecycle Management (ALM) continues to be a hot topic, especially with the growing movement toward DevOps. The subject has certainly evolved, as clearly demonstrated by the blend of ALM books examined here. There's a relatively basic title for those first getting involved in ALM, and far more specific and in-depth titles on applying ALM at a deeper level with TFS 2015, and even ALM specifically for APIs—nothing like a little light summer reading on the beach. Check out our earlier post on ALM books here! This is a relatively basic guide to the concepts of ALM. If you're somewhat new to the concept of applying ALM techniques and processes, this is a good entry. The introduction does well in describing both the concept of ALM and what you can get out of this book. "ALM is an area that spans everything from requirements specifications to retirement of an IT-system or application. Because its techniques allow you to deal with the process of developing applications across many areas of responsibility and across many different disciplines, the benefits and effects of ALM techniques used on your project can be wide-ranging and pronounced. In this book, author Joachim Rossberg will show you what ALM is and why it matters. He will also show you how you can assess your current situation and how you can use this assessment to create the road ahead for improving or implementing your own ALM process across all of your team's development efforts. 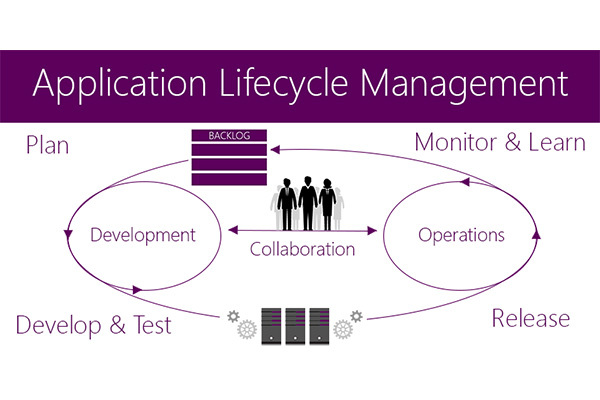 Beginning Application Lifecycle Management can be implemented on any platform. This book will use Microsoft Team Foundation Server as a foundation in many examples, but the key elements are platform independent and you'll find the book written in a platform agnostic way." Team Foundation Server (TFS) and Visual Studio Team Services (VSTS) are the foundations of most development efforts. Agile Project Management using Team Foundation Server 2015 clearly and thoroughly demonstrates agile and ALM concepts and how to use them along with the stalwart TFS/VSTS. Agile Project Management using Team Foundation Server 2015 will show you "how you can use TFS/VSTS to implement many agile practices and how they fit into a well-thought-out ALM implementation. The book also shows how an agile product owner can work with TFS/VSTS to setup an agile project from scratch and how to continue using TFS/VSTS throughout the whole project to track progress, create and refine the backlog, and work with Kanban and Scrum Task boards. Keeping track of progress is important in any project. TFS/VSTS includes many tools which will help you to track key metrics in an agile project. Many useful reports are available out of the box, and the TFS extensibility offers several ways to further customize reporting to fit your needs." "The API Lifecycle presents an agile process for managing the life of an API—the secret sauce to help establish quality standards for all API and microservices providers. This knowledge informs one on … a holistic model of the API as a business and product. From conception to deprecation, this handbook outlines unique step-by-step instructions on market research, strategy, construction, promotion, and updating your API. The API lifecycle diagram is an agile process for managing the life of an API and is composed of four distinct phases: Analysis, Development, Operations, and Retirement. Our eBook expands these concepts, grounding theories in knowledge collected during the Nordic APIs 2015 API lifecycle themed conference tour, events which brought API industry experts together to discuss different strategies throughout varying stages of the API lifecycle. We also delved deeper into these ideas within our blog, interviewing leading web API figures, and performing additional research to create a comprehensive view of the lifecycle for a commercialized web API." Got any favorite ALM books? Drop me a line at llow@1105media.com! Howdy readers, Lafe here. About once a month, my partner in crime, Rich Seeley, has been doing technical takeovers of this blog. 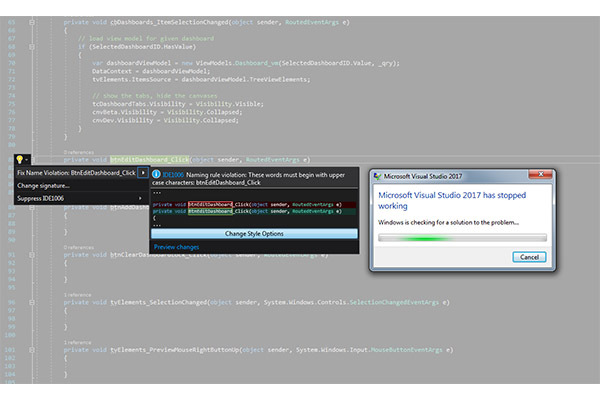 Here's his latest post on Visual Studio debugging. When it comes to Visual Studio debugging there's no sense sugar coating the chore. "None of us gets paid to debug code," notes Kaycee Anderson, program manager for the Microsoft debugging team. “We get paid to write code. So the less time we spend debugging the better off we’ll be." This was her opening for her talk at Microsoft Build 2017 titled "Supercharge your debugging in Visual Studio 2017: Tips and Tricks." Anderson's presentation featuring 30+ tips and tricks is now available on YouTube. Better yet, you can also see her in person at VSLive! Redmond the week of Aug. 14 giving her presentation on Debugging Tips and Tricks for Visual Studio. This will be an opportunity for you to talk to her about your own debugging issues. She starts out with a demo making use of the Visual Studio Watch window after noting that is where developers doing debugging can go to "party." For those who have not been partying in the Watch window, Microsoft explains how to get into it: "To open the Watch window, the debugger must be running or in break mode. From the Debug menu, choose Windows, then Watch, and click on Watch1, Watch2, Watch3, or Watch4. You can use the Watch window to evaluate variables and expressions and keep the results." Even if you are not in a party mood while debugging, the Watch window appears to be a good place to hang out. Among the new features in Visual Studio 2017, Anderson shows off the "point-and-click debugging" made possible by transforming the Run-to-Cursor feature into Run-to-Click and moved it from the context menu where it was fairly well-hidden to the editor where it is easily found as a green glyph alongside each line of code in the editor. Rather than having to jump through hoops to run the lines of your code that are having problems, Run-to-Click lets you immediately zero in on the trouble spot. So a tool that was once difficult to find and use is now readily available. Demonstrating Run-to-Click, Anderson explained: "I always have one hand on the mouse anyway to inspect variables with data tips, so this is a good way to go 'I want to go here,' and hover over [the problem line of code]. There's no more step over, step over, step over and back and forth." Saving all those steps will save you time in debugging. Anderson's entire 54+ minute talk is well worth watching. If you aren't ready to invest an hour into learning Visual Studio debugging tips, there is 3 New Debugging Goodies in Visual Studio 2017, which is only 12 minutes long. Here you can learn about not only Run-to-Click, but also the Reattach to Process and Exception Helper, all of which are new and improved in Visual Studio 2017. "You can use this capability to debug apps that are running on a local or remote computer, debug multiple processes simultaneously, or debug an application that was not created in Visual Studio. It is often useful when you want to debug an app, but (for whatever reason) you did not start the app from Visual Studio with the debugger attached. For example, if you are running the app without the debugger and hit an exception, you might then attach to the process running the app to begin debugging." You can learn more about Reattach to Process from reading Attach to Running Processes with the Visual Studio Debugger from Microsoft. Exceptions is an ancient programming concept that every developer has to deal with in the programs they write during development, testing and production scenarios. Visual Studio has long provided facilities to inspect the exceptions but with Visual Studio 2017, its Exception Helper dialog makes that process even easier." Debugging isn't always a process that you work through while writing code. It can also be a problem solving tool when something goes wrong with existing software. It's the old game of find the bug, which can take on emergency status if that bug is bringing down an e-commerce app. How To Do Production Debugging on the Fly by Bilrami is a case study in Production Debugging published on Visual Studio Magazine’s website. Bilrami defines production debugging as "solving customer-facing issues that aren't easily reproducible." "Take, for example, a common problem of a fast-food restaurant kiosk that goes offline with a blue screen of death," he writes. "That restaurant loses its ability to accept orders from customers, of course, but it also can disrupt workflows and bring chaos to other parts of the business operations. If the problem can be traced to a hardware issue, hardware can be quickly replaced. But in the case of software issues, replacing hardware will be of no help. Software vendors have to fix the issue, and that, in turn, requires being able to reproduce the scenario first." For those faced with this difficult situation, Bilrami not only recommends several free tools but shows how they can help to quickly work in production debugging to help get a mission critical app up and running again. And as the Microsoft debuggers like to say: "Party on." Howdy readers, Lafe here. About once a month, my partner in crime, Rich Seeley, has been doing technical takeovers of this blog. 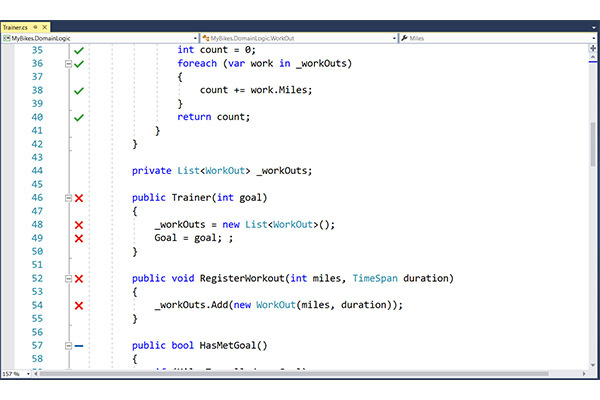 Here's his most recent post, which looks at Visual Studio templates. Visual Studio templates are in the news developers can use including two recent articles in one of our favorite sources Visual Studio Magazine. Author Tomáš Herceg is the CEO and chief software architect at Riganti sro, a software development and consulting company based in the Czech Republic. He is also a Microsoft MVP and Microsoft Regional Director. Hercegg specializes in .NET and the Microsoft developer tools stack and created the DotVVM open source Web app framework. DotVVM is available as a free extension for Visual Studio 2015 and Visual Studio 2017 that adds project templates and IntelliSense. It can be downloaded from the Visual Studio Marketplace or from the DotVVM Web site. DotVVM Web Application (.NET Core) template creates a new project targeting .NET Core. This is used to create a multi-platform Web app with DotVVM. DotVVM Web Application (ASP.NET Core on .NET Framework) template creates a new project targeting .NET Framework 4.5.1, which uses the new ASP.NET Core libraries. This a popular combination because it allows you to use libraries that aren't currently supported in .NET Core. DotVVM Web Application (OWIN on .NET Framework) template creates a classic Web application project that uses .NET Framework 4.5.1 and OWIN. You can use this method to integrate DotVVM into existing MVC or Web Forms apps. If this is something that would speed up the projects you're working on, Herceg’s detailed tutorial with plenty of code samples will be a must read. Also in the news recently is Windows Template Studio (WTS), the wizard-based coding engine for Windows 10 UWP apps, which gained momentum with a new point release. Michael Domingo, editor in chief of Visual Studio Magazine, highlighted this template news in Rapid UWP Creation with Windows Template Studio 1.1. Usually a 1.1 release wouldn't be a big deal but as Domingo points out, the new version of the WTS open source project on GitHub provides wizard improvements, including the addition of some code analysis, localization, renaming of pages and background tasks, and other template improvements. Michael Crump, senior program manager in Microsoft's Azure division, along with Clint Rutkas, another Microsoft PM, created Windows Template Studio, a Visual Studio 2017 extension that can be used to build Universal Windows Platform projects using a wizards-based UI and targeting Windows 10 environments. In a blog post announcing the latest version of WTS, Crump and Rutkas explain: "Windows Template Studio addresses a top community ask in our developer survey to make it easier and provide guidance to create new projects that target the Universal Windows Platform … We are taking our learnings from the code generation engine and the existing wizard to provide a strong foundation for our code generation and developer experience in Windows Template Studio." There's more detail on this GitHub page. For readers who are just beginning to look at templates, Microsoft provides some helpful how-to information. "A number of predefined project and item templates are installed when you install Visual Studio. The Visual Basic and Visual C# Windows Forms Application and Class Library templates that are available in the New Project dialog box are examples of project templates. Installed item templates are available in the Add New Item dialog box, and include items such as code files, XML files, HTML pages, and Style Sheets." This brief Microsoft article explains that these templates provide a starting point for users to begin creating projects or expanding current projects. Microsoft provides background on Visual Studio Templates, covers the Contents of a Template, and includes Starter Kits. "In addition to the installed templates in the New Project and Add New Item dialog boxes," Microsoft points out, "you can author your own templates or download and use templates created by the community. For more information, see How to: Create Project Templates and How to: Create Item Templates." So if you don’t find a template to your liking, you can sit down and create your own. Howdy readers, Lafe here. About once a month, my partner in crime, Rich Seeley, has been doing technical takeovers of this blog. Here's his latest post on Visual Studio extensions. Where would Visual Studio users be without extensions? You'd probably be constantly re-inventing the wheel to do routine tasks instead of having extensions a click away. As Microsoft explains: "Extensions allow you to add new features to or integrate existing tools into Visual Studio. An extension can be as simple as adding grid lines to show indentation levels in the editor or as complex as a suite of tools specific to how your team works." Probably every living Visual Studio user knows where to find the 7600+ extensions in the VS Marketplace. There is also a Visual Studio Gallery feed that sorts extensions by their popularity, so you can find out what's hot. But the story behind the creation of them is fascinating. Recently Visual Studio magazine ran an in-depth interview with Mads Kristensen, Microsoft's extensions guru and the creator of more than 80 different extensions. For those readers wondering how you get such a cool job, Kristensen, whose official title is senior program manager on the Visual Studio Web and ASP.NET Team, told the article's author, Terrence Dorsey, that it all started on Twitter. "In August 2010, I was approached on Twitter by someone at Microsoft," Kristensen, a native of Denmark, told Dorsey. "They asked if I wanted to apply for an open position as program manager on the Visual Studio Web and ASP.NET Team. Five days and five Skype interviews later I signed the contract, quit my job and applied for a U.S. visa. On Nov. 1, 2010, I moved to Redmond and started on the team that I'm still on." And so a star of the Visual Studio extensions world was born. Of course it helped that he built BlogEngine.NET, which became the biggest blogging platform on the .NET Framework and earned him the title as MVP for ASP.NET, as well as ASPInsider. Kristensen got into the extension writing business the way probably a lot of members of the Visual Studio community do by wanting to solve a problem. In his case, he wanted to test the extensibility of APIs with an extension with real-world features. What he created became Web Essentials for Visual Studio. When writing a new extension, his creative process begins with a look at Microsoft OneNote where he keeps lists of ideas. He picks out one that strikes his fancy in the moment and goes to work on it. For those who want to follow in his footsteps Kristensen has also developed Extensibility Tools to make the creation process easier. You can find Kristensen's extensive library of extensions on this page of the Visual Studio Marketplace. If you are just beginning to think about creating your own extensions, Microsoft offers a Beginners Guide to Extensions. That page includes a video featuring a 26-minute Building Extensions conversation with Tim Sneath, principal program manager. Since Visual Studio 2015, Microsoft has opened up the whole API for creating extensions, he explained. If you can learn by watching, Sneath will show you how to build extensions. Although he quickly moves through the creation process, he doesn't promise that it will be easy. "There's stuff here that's a little complicated," Sneath says. "I'm not going to say that it's super easy because you really are executing against the Visual Studio product itself, the object model. There's complexity there. 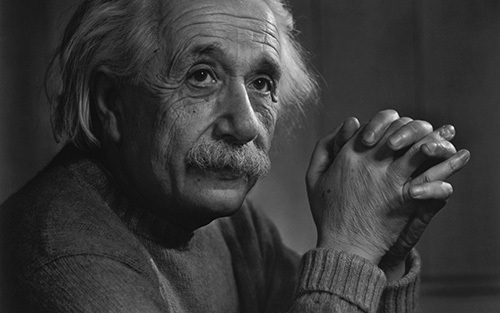 But the value of that complexity is that you can do anything you like with the product." He points out that there is a GitHub repository with samples of almost anything an extensions creator would want to do. "It contains about 20 different samples for creating commands, custom project systems, new language services, you name it," Sneath said. Additional videos on building extensions can be found on Microsoft's Channel 9. If you just want to use extensions for your projects, there are experts who are listing what they see as the best of the best. Microsoft's Jeffrey T. Fritz offers Five Visual Studio 2017 Extensions for Web Developers for those who are just starting to work with the latest version. "You've downloaded and installed Visual Studio 2017, and it's a great improvement over previous versions," Fritz writes in his introduction. "Now what? How can you make your web development experience better?" He recommends five Visual Studio extensions that he says "will make your day-to-day tasks easier and even more enjoyable." Want more help finding extensions? Terrence Dorsey, who interviewed Kristensen, has been busy collecting the latest and greatest extensions for the Visual Studio Toolbox feature on Visual Studio magazine. He has two dozen (literally) suggestions in 12 New Extensions for Visual Studio 2015 and 2017 and his follow-up 12 More Extensions for Visual Studio 2015 and 2017. You can also find updates on Dorsey’s blog. 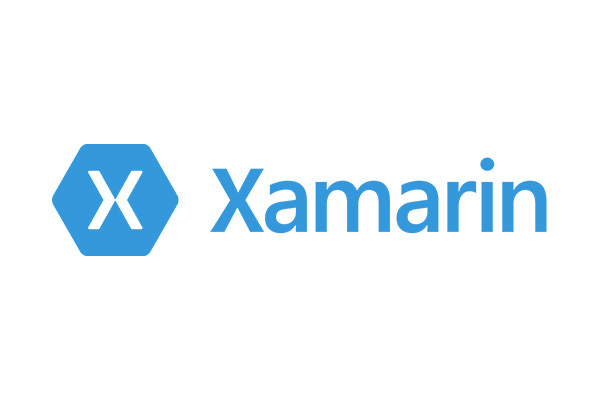 Xamarin continues to drive the ever-expanding world of mobile apps. And as more dive into developing with Xamarin, more experts and expert resources are needed. Following up on my previous post, I've found some more fantastic Xamarin blogs you might want to visit. This is a cool site that aggregates content from Xamarin community members. You have to subscribe to have it land in your RSS feed because they don't want to steal traffic from the community members' sites. That's a nice touch. You can get a preview of what’s available though. Once you do, chances are you'll want to subscribe. Some recent posts include Xamarin and DevOps: Versioning your app, by Steven Thewissen. 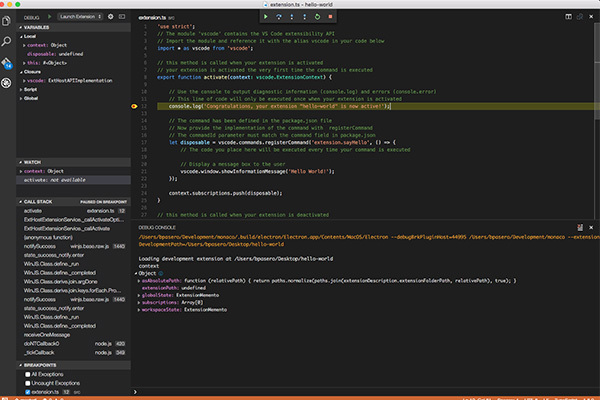 This is the fourth in a series of posts Steven has written about using Xamarin and DevOps. This particular post focuses on versioning a mobile app—using a standardized version number to track releases and any issues that might crop up, particularly when you're also using tools like HockeyApp or Xamarin Insights. The previous three articles in this series cover the build agent, setting up your Android CI, and setting up your iOS CI. Xamarin.Forms and PaintCode, by Atonio Feregrino Bolanos. 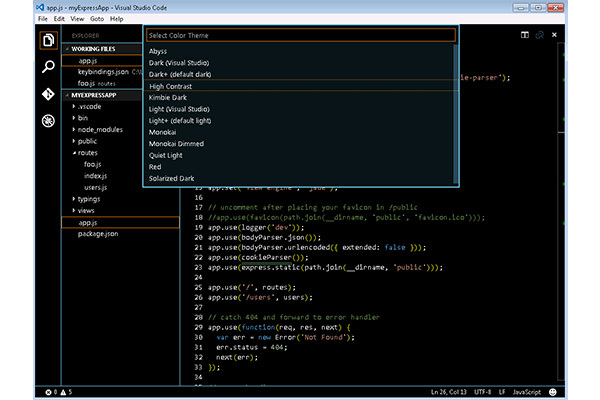 PaintCode 3 was recently on sale, which inspired the author to write this post. Antonio explains how he went about creating a custom control with PaintCode and Xamarin.Forms' custom renderers, starting from the drawing itself. He starts by adding a new canvas, and goes on from there. Creating Custom Controls with Bindable Properties in Xamarin.Forms, by Brian Anthony Garcia. After someone asked Brian how they could create a property for their custom control, he said he had already created a custom control called MyCustomControl that has a label and an image. He says it’s not the best example to use for demonstrating BindableProperty, but it works. You can also find links to regular installments of The Xamarin Podcast, Merge Conflict and The Xamarin Show on the Planet Xamarin page. The Xamarin Podcast is the official Xamarin podcast that discusses all things Xamarin. Merge Conflict is a weekly development podcast hosted by Frank Krueger and Visual Studio Live! 's own James Montemagno. The Xamarin Show is a Weekly Developer Show for Xamarin Developers. File Persistence in Xamarin.Forms Apps: "The goal is to persist data to a file. You might do this for any number of reasons, including storing away user-preferences or in this case, storing away data to protect you from a crash. In this simple application we collect names and display them in a list. If the program crashes after the names are stored to disk, clicking restore will bring them back. To do this, we're going to create a generic file repository. This is overkill for this simple demo example, but can be a very powerful pattern to use with larger applications." He also hosts a variety of podcasts that he has done himself, as well as podcasts by James Montemagno (there he is again! ), Shawn Wildermuth, Greg Shackles and host of other dev dignitaries. Push Notification in Xamarin.Android Using Google Cloud Messaging (GCM), by Imran Aftabrana. This post discusses step-by-step implementation of Push notification in Xamarin.Android, using C# through Google Cloud Messaging (GCM). Creating an Image View App to Select The Image From The Gallery Using Xamarin, by Akshayrao V. This post covers how to create an Image View app to select the image from the gallery using Xamarin. My New Tool for Creating Xamarin App Icons, by S.Ravi Kumar. This post describes his new tool for creating Xamarin app icons. Searching Items In ListView Xamarin Android, by Virendra Thakur. This post will show you how to search Items in ListView Xamarin Android. Tabs In Xamarin Android, by Virendra Thakur. This post will help you learn about tabs in Xamarin Android. What are your favorite Xamarin blogs? Drop me a line at llow@1105media.com!